Earth Hour is tonight – will you be joining in the celebration? Since 2008, there has been one hour when people around the planet turn their lights off for one hour, in recognition of the need for action to create a more sustainable environment. If you didn’t think each of us could make a difference, check out their website for some of the great photos of places around the world that are dimming their bulbs for this evening. If you’re worried about eating in the dark, don’t be. Seize the spirit of adventure and discover what the food and drink tastes like when you can’t see it. Did you know that even wine experts are stumped almost 50% of the time when they can’t tell if the wine they are tasting is red or white? Our sense of sight is so dominant that we make assumptions based on what it shows us. Sounds a bit like our assumption of living beyond the means of our planet, no? But really, who needs another reason to enjoy a candelit evening? If you don’t have someone to snuggle up with, it’s a great excuse for a nice soak in a tub of bubbles with your favourite glass of wine. Support the cause – have a cookie! Did you know what time of year it is? Spring, yes, fine. 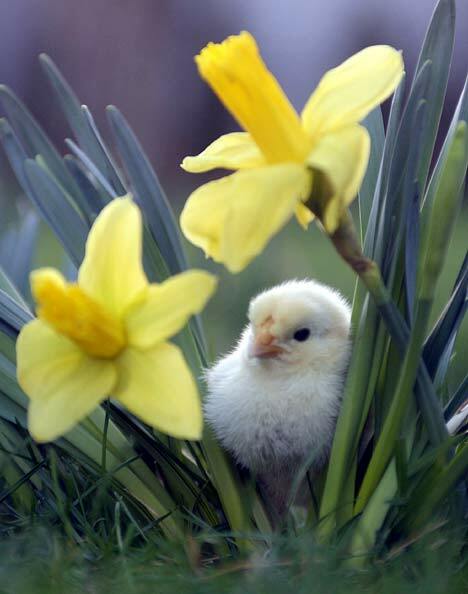 Easter is coming soon, too… but there is another tradition that exists across Canada that happens every spring starting officially on the weekend around April 1 (no joke). You will see girls in front of your local stores and going door-to-door, dressed in spiffy scarves with what looks like a shamrock on them. They may have sashes covered in badges. They are probably nervous to ask you, “Would you like to buy a box of cookies?” I remember not knowing the price when I rang my first doorbell (it was $2 for a box back then, but that was a while ago). 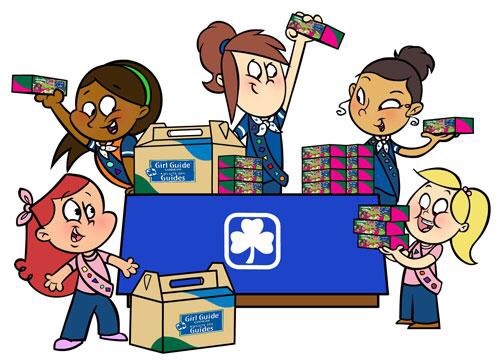 If you would like to support a good cause this spring, splurge on a $5 box of Girl Guide cookies, and support a world-wide institution that has helped girls to become better people for over 100 years. this is the design I remember, dating back to the 70's. The first Girl Guide cookies were sold in 1927. What better way to celebrate the joys of childhood – have a cookie and add to the fun for your community’s kids. My mom used to say that there isn’t much a cookie can’t cure. The good news is that cookies can also be especially rewarding when there is nothing wrong. Even better news is that you can help someone else by having one of their cookies. Okay, full disclosure: I am a Girl Guide leader. It is Classic Cookie season. The boxes of good old-fashioned vanilla and chocolate sandwich cookies will be arriving by the truckload this weekend in the Okanagan. Soon girls in blue will be all over your neighbourhood asking for your help to achieve their goals. 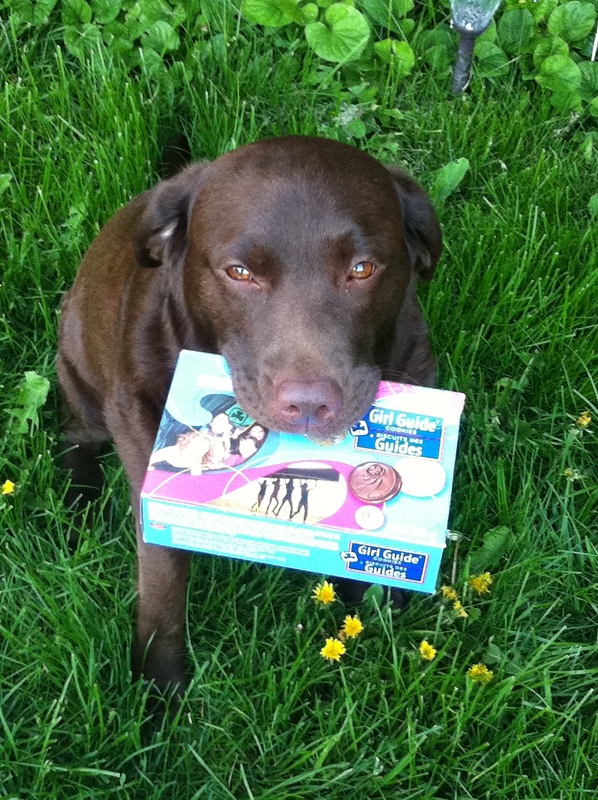 You see, Girl Guide cookies are the way units fund their activities such as camps, field trips, and service projects. It may sound corny, but your support could really help send a girl to camp. For me, Girl Guides is a delightful opportunity for girls to be exposed to a variety of experiences in a safe and encouraging environment. I enjoyed my time as a Girl Guide, and I adore my time as a leader (altogether I have spent 14 years in the organization.) Especially since I don’t have kids of my own, I feel it’s important to give back to our community and connect with young people. Seriously though, they are good cookies. Do you have recipes that are family secrets? Is there some “secret sauce” or “Aunt Mabel’s noodle casserole” that you are sworn not to share?? In today’s world of the Internet and cookbooks at Costco and chefs on Twitter, how could there be any secrets left, I wonder… I would love to know your feedback on this. 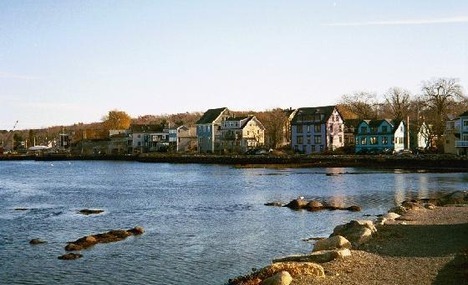 The closest thing I have to a secret recipe is one I was given by a charming English lady at a bed and breakfast in Mahone Bay, Nova Scotia. 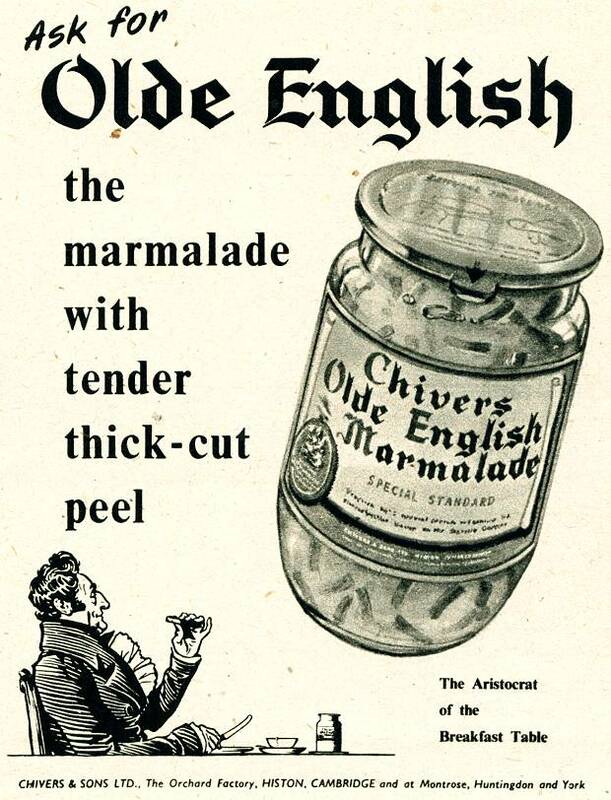 It is for traditional English marmalade, and I wanted it to preserve the memory of the full English breakfast she served my companion and I on our cycling holiday along the south coast. I have made it every year since, and I cherish every spoonful. 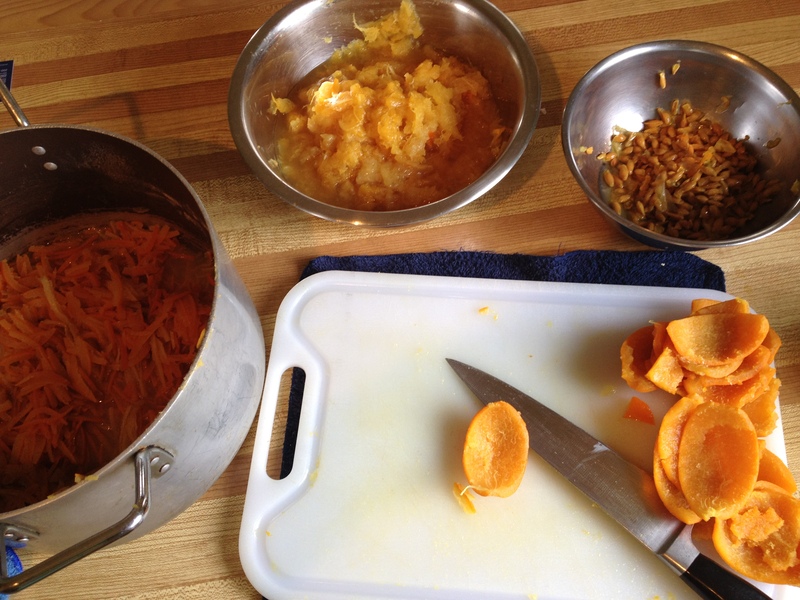 It could be said that keeping this recipe close to my heart doesn’t matter much, as I have found that many people don’t even like marmalade.Certainly a recipe that takes 3 days is a harder sell. day 2 - separating the pips, pulp and peel, then chopping the peel finely. Sticky work! But I like the idea of having something special that I can share with those special people. 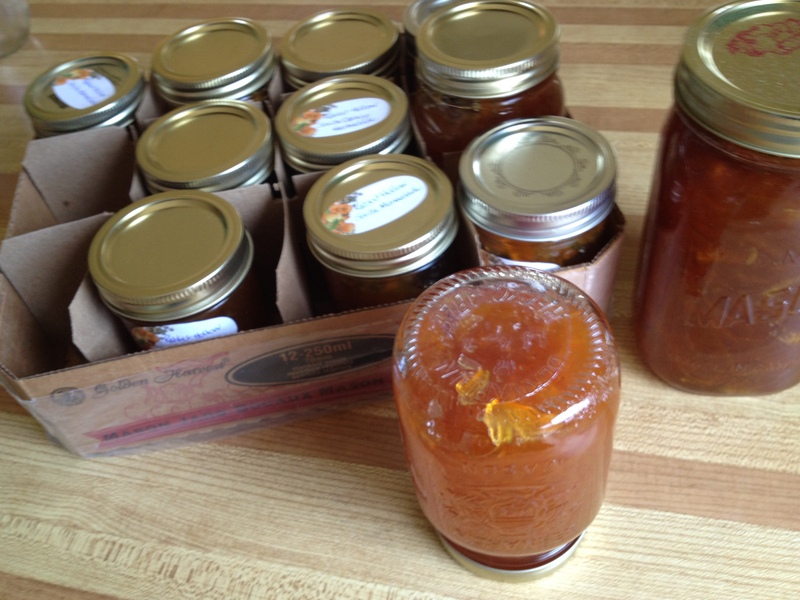 My Aunt Myrna makes marmalade on the Sunshine Coast, along with her many other efforts to preserve and share from her kitchen. My Mom makes it, too – most often when she hasn’t been able to visit me, as I am happy to share. (I can’t eat 10 jars a year.) And every once in a while I run into another avid fan and I get to share a bit of sunshine in a jar with them and know they will smile over their next piece of toast. This year's harvest - the big jar stays in my fridge! They say that many cultures are unified by the traditions of food, even when other elements like religion or politics can divide them. No wonder we use the word “comfort” when we speak of food; it is not only sustenance for our physical system, but emotional sustenance as well. (Anyone who got their heart broken and consumed a tub of Haagen Daz in one sitting can attest to that!) Perhaps the traditions surrounding food are part of what keep any secrets or special ingredients a part of family and cultural history. Do you have favourite foods that you can only get in one place? Are there secret recipes or ingredients that you use? Please share your opinions and comments! Spring has definitely sprung in our part of the world, and every day there is a new reminder of the splendor to come as the sun shines longer and the air warms on our cheeks. New blades of grass poke through the mulch of last year, and shoots that promise daffodils and tulips show braver every day. It also seems to be a time however, when we are reminded of the circle of life and how sometimes we must honour the changing of the guard. It is a good reminder of the value of true friendship, which is indeed a precious commodity. If you will grant me a little poetic license this week, I would like to explain. This column is not so much about food, although that certainly anchored the friendship I will recount, but it is of great importance so I hope you will read on. It is an early misty morning at Kits Point in Vancouver, with the sun just barely brightening the sky and only a few joggers out on the path. The park is alive however, with the sounds of happy snuffling in the grass and low voices chatting amongst the trees. It is the dog owners of Kitsilano, and they are out with their four-legged friends for their daily constitutional. For many, this means more of a pilgrimage to the top of the Point, where a certain fellow named John waits in his yellow rain jacket with his pal close by – a staunch and dapper Irish Terrier named Riley, who knows he is King of the Hill. There is not a dog who has been to the park more than twice who does not remember this man, as he has pockets that contain an endless supply of biscuits. Owners who are otherwise strict go to pieces when in John’s vicinity, for he is renowned at his ability to convey pet owner’s guilt… He recounts their pet’s supposed commentary on just how hard-done-by they would be if they were left out of the gift-giving. Everyone ends the visit by realizing that the odd cookie never hurt anyone, and a little attention goes a long way. As the group parts company for each to carry on with their day, there is always a smile on each face – two-legged and four – that helps them start the day right. Many of those folks grew older together, and eventually we even learned the names of the other owners! There was a special camaraderie that developed in those early mornings. Even after my girl Satchmo went blind, one of the few times she would run was when she heard John’s familiar voice on that hilltop calling her name. She and Riley continued to wrestle and taunt each other even when he started to go blind too, and we all got a bit greyer. When we moved away from Vancouver and would return for a visit, we always made it back for a morning hello. 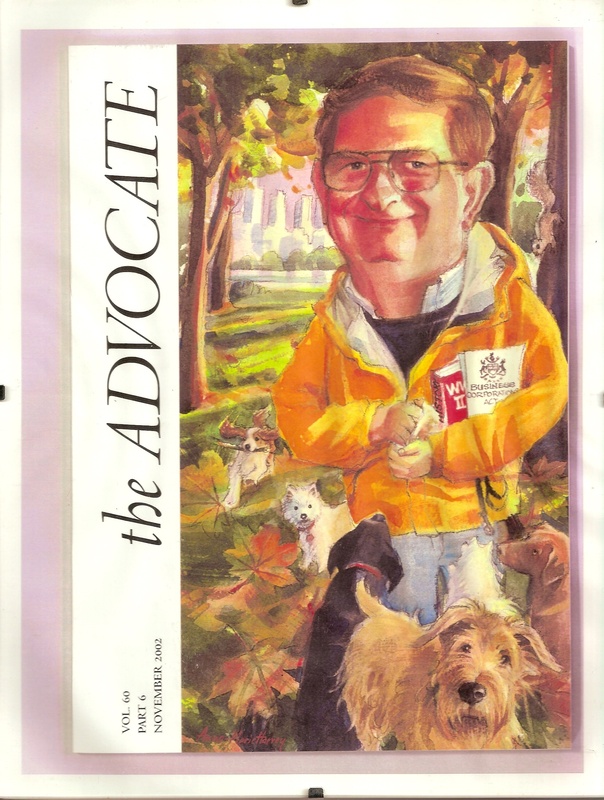 Over the years many faces have come and gone, and generations of owners and dogs have now been a part of things. Riley and Satchmo passed the torch onto future furry pals who would show their owners the benefits of enjoying morning moments and other pastimes. Riley and John set a standard for friendship and generosity that needs to be practiced in today’s world more than ever, reminding us that we will be handsomely rewarded for taking the time to stop and enjoy a biscuit or a sweet-smelling spot in the grass. 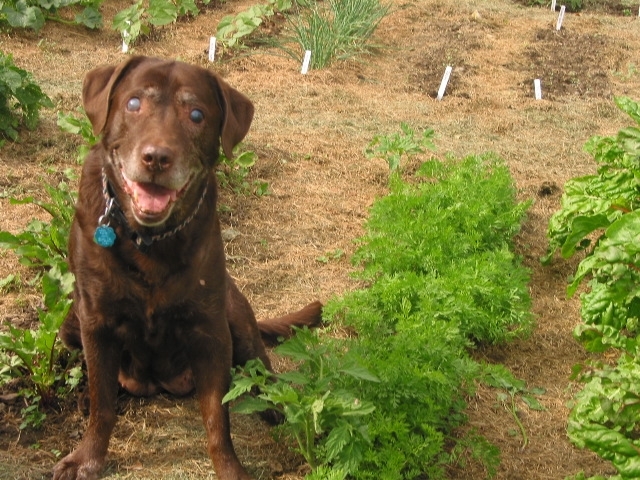 Here is Satchmo, happily caught next to the carrots in the garden - she loved poaching carrots as much as she loved John's biscuits. And the biscuits fall gently from a hand. May the Lord hold you safe in his Land.